↑ 1.0 1.1 "World Heritage Properties in Vietnam". UNESCO. สืบค้นเมื่อ 31 มีนาคม 2015. 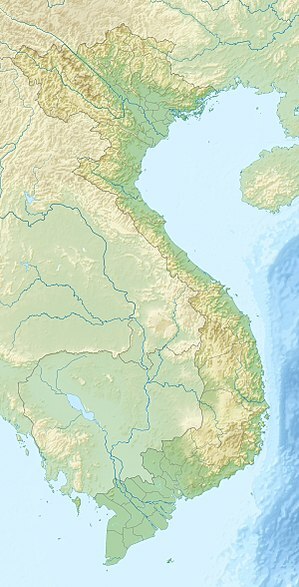 ↑ "Complex of Hué Monuments". UNESCO. สืบค้นเมื่อ 28 May 2010. ↑ Extended inscription in 2000 to include natural criterion (i) (in present nomenclature criterion (vii)). ↑ "Ha Long Bay". UNESCO. สืบค้นเมื่อ 28 May 2010. ↑ "Hoi An Ancient Town". UNESCO. สืบค้นเมื่อ 28 May 2010. ↑ "My Son Sanctuary". UNESCO. สืบค้นเมื่อ 28 May 2010. ↑ "Phong Nha-Ke Bang National Park". UNESCO. สืบค้นเมื่อ 28 May 2010. ↑ "Central Sector of the Imperial Citadel of Thang Long - Hanoi". UNESCO. สืบค้นเมื่อ 28 May 2010. ↑ "Citadel of the Ho Dynasty". UNESCO. สืบค้นเมื่อ 28 May 2010. ↑ "Trang An Landscape Complex". UNESCO. สืบค้นเมื่อ 23 June 2014.